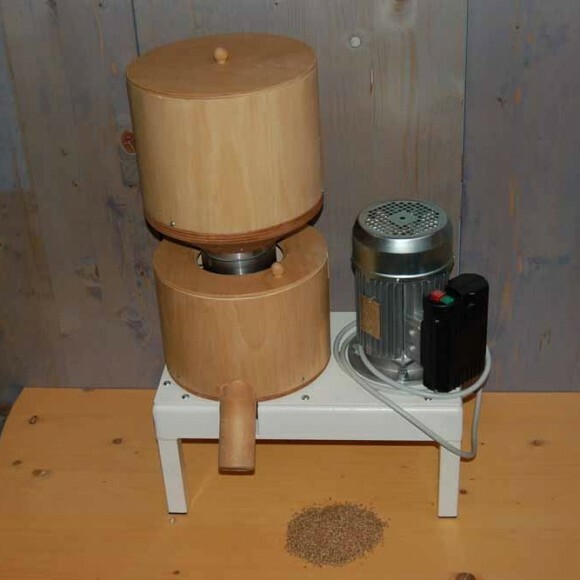 Table mill also suitable to grind corn (although demanding). 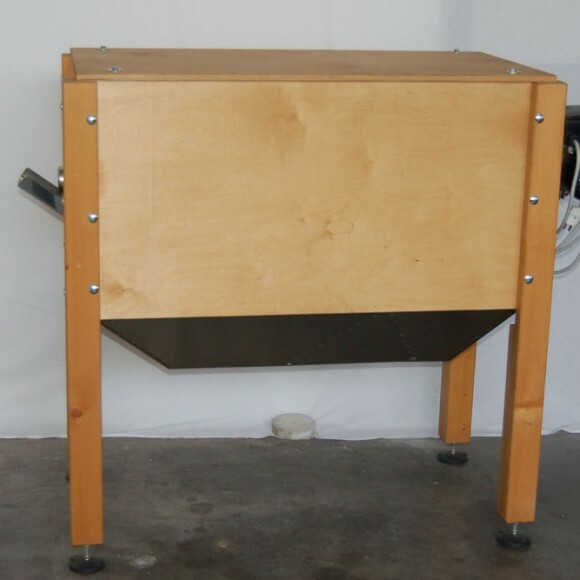 This machine is designed for grinding cereals. The action takes place by means of clockwise rotation of a grinding wheel activated by the operator through the crank handle. 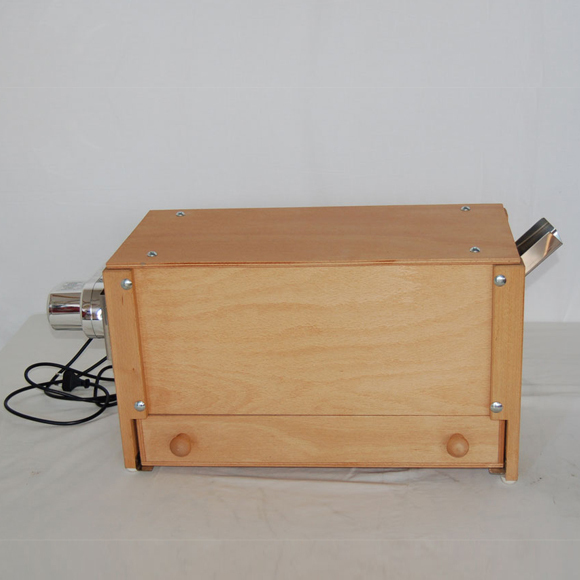 To achieve the desired consistency of the flour, the machine acts on the container of cereals. 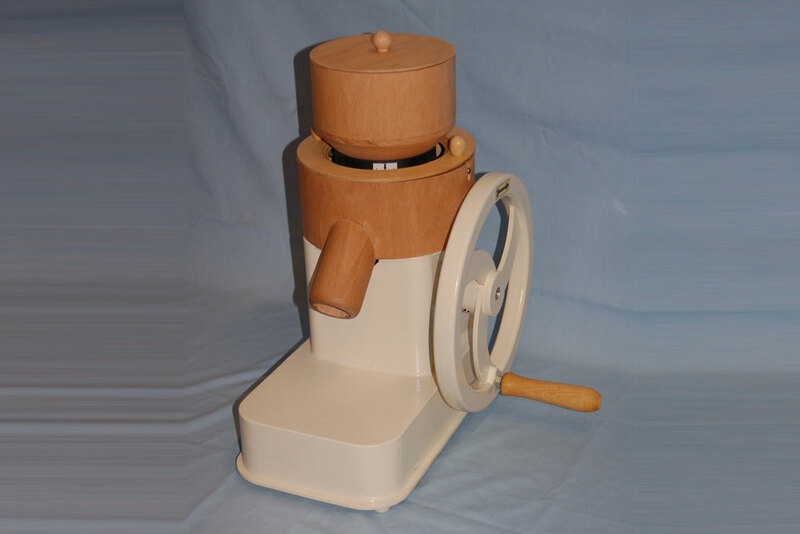 By turning clockwise, the grinders approach each other and you get a finer flour, while by reversing the rotation you get coarser flour. 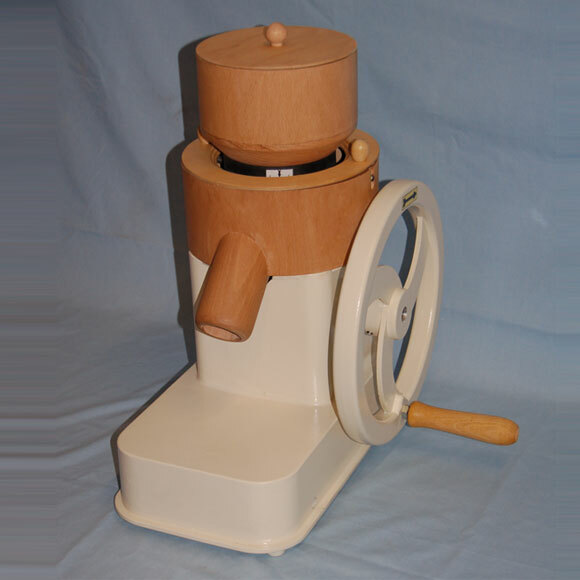 During the grinding of tender and/or oily cereal (ie: oats, soy, etc..) it can happen that the grinders get sticky. 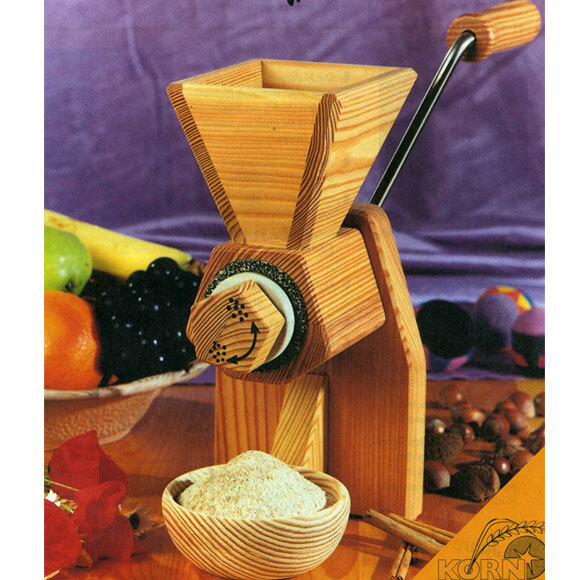 To avoid this, it is advisable to use only very dry cereal and to grind coarse flour (by keeping the grinders open). 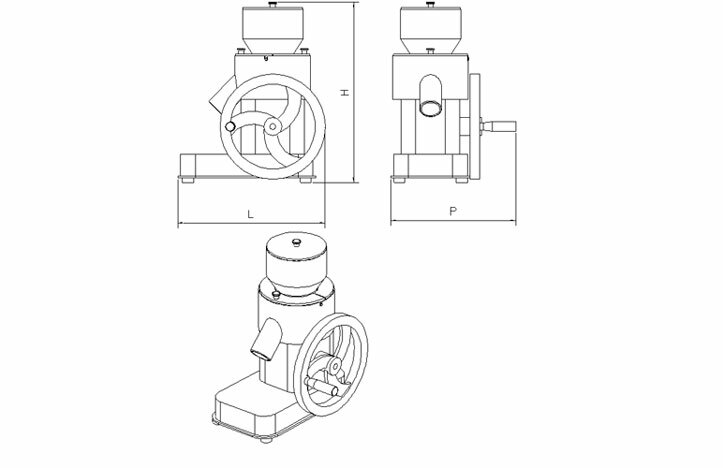 The mill produces whole flour. To get white flour or semi-whole flour, use appropriate sieves. 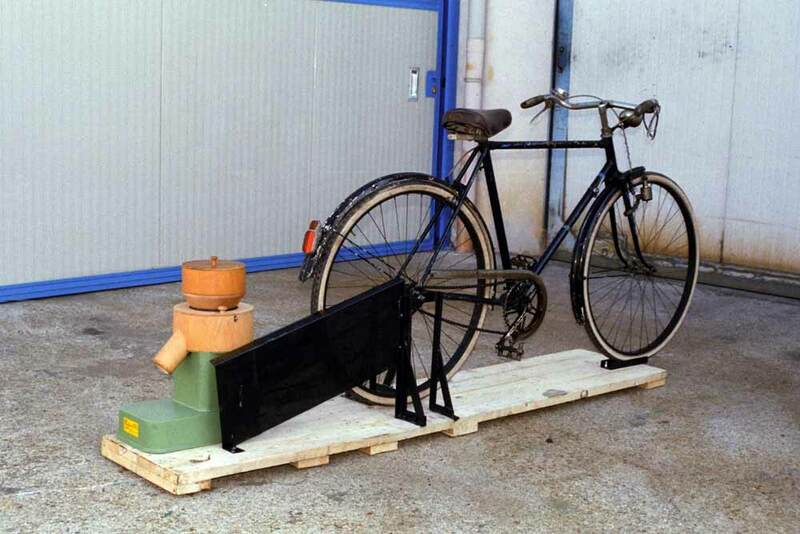 It may be used for bicycle-device or other energy sources. Best if used in a well-ventilated area. 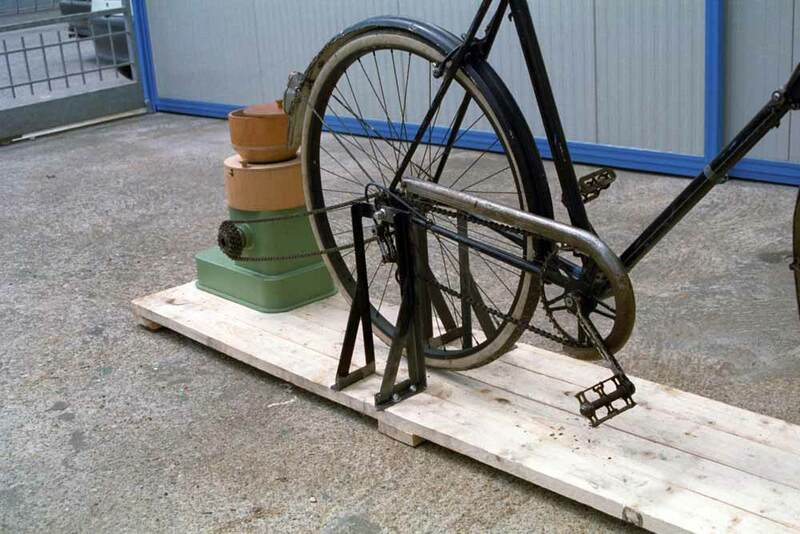 Adaptable to order for any bicycle-devices, wind-turbines transmission devices, ..